Thomas J. Leonard (1955 - 2003) is the founder of CoachVille, the world's largest association and training school for Personal Development and Corporate Coaches. Through Thomas' leadership, CoachVille has grown to 9,400 members in more than 70 countries across the globe. 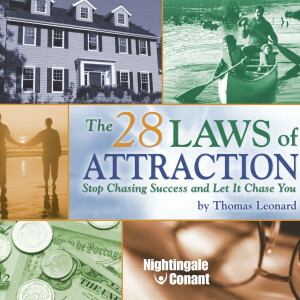 Thomas, along with input from over 1,000 members on the CoachVille Research & Development Team, developed a comprehensive program, the 28 Principles of Attraction, which is all-inclusive of not only all top coaching models, e-courses, and teleclasses, but also dozens of models on Personal Development and Growth. In 1992, Thomas founded Coach University which today is a world leader in coach training with over 6,000 coaches operating in 38 countries. In 1994, Thomas went on to found the International Coach Foundation which today is the largest association of professional coaches with over 130 chapters worldwide. Thomas has been featured in over 200 media outlets since 1996 including Newsweek, Time, Fortune, NBC Nightly News, The Los Angeles Times and the Times London.